Liczba stron: 1740 Jest to ujednolicona liczba stron, która ułatwi Ci porównanie długości książek. Każda strona Legimi to 200 słów. “You have power over your mind - not outside events. Realize this, and you will find strength. The happiness of your life depends upon the quality of your thoughts.”- Marcus Aurelius, Meditations.Stoic Six Pack brings together the six essential texts of Stoic Philosophy:Meditations by Marcus AureliusThe Golden Sayings of EpictetusFragments of EpictetusSelected Discourses of EpictetusSeneca’s Letters from a Stoic: Epistulae Morales AD LuciliumThe Enchiridion of EpictetusIn addition to these six master texts, there is also:*Biography of Marcus Aurelius. *Link to free audio recording of Seneca’s Letters. *Seneca Image gallery. 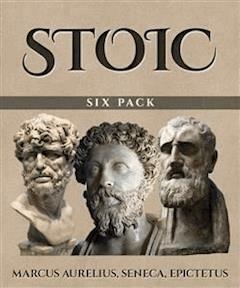 *Epictetus Image gallery.For students of Stoicism, there is the convenience of having all six texts in one searchable volume. People new to the ideas of Zeno, Seneca, Aurelius et al could ask for no better introduction than this awesome anthology.“In the last three years, I’ve begun to explore one philosophical system in particular: Stoicism. I’ve found it to be a simple and immensely practical set of rules for better results with less effort.” (Timothy Ferriss, author of Four Hour Workweek. )*Two image galleries. *Biography of Marcus Aurelius. *Dynamic Table of Contents. *Special low-price!